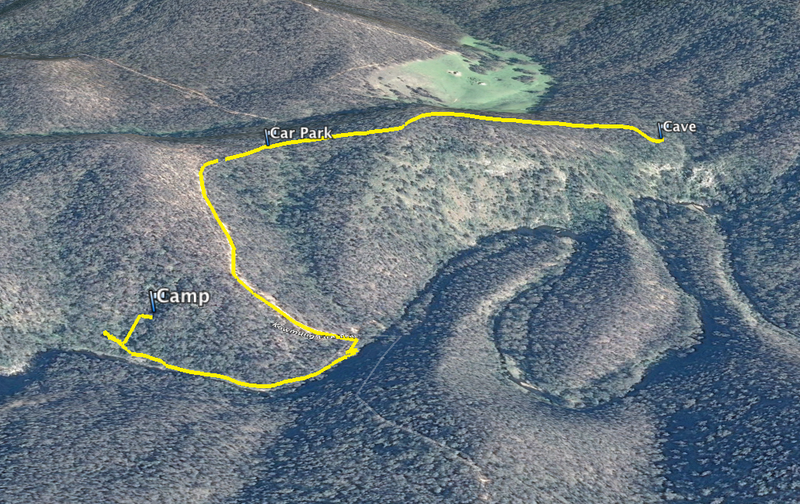 In Part 1 I managed to connect my Garmin eTrex H to my MacBook, and successfully downloaded the data to a KML file I could view in Google Earth. 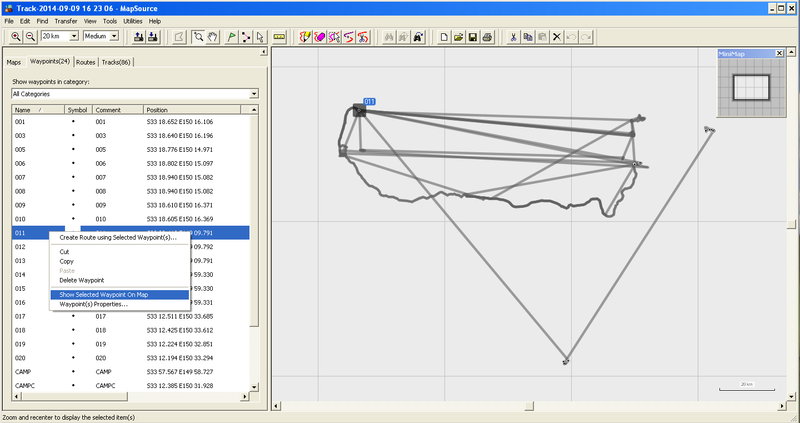 The problem was that the data was quite messy and had multiple trips joined together. I needed to find a way to edit the points. 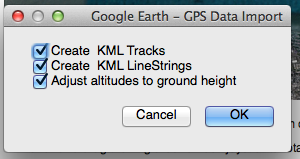 I think my favorite was Mapsource. 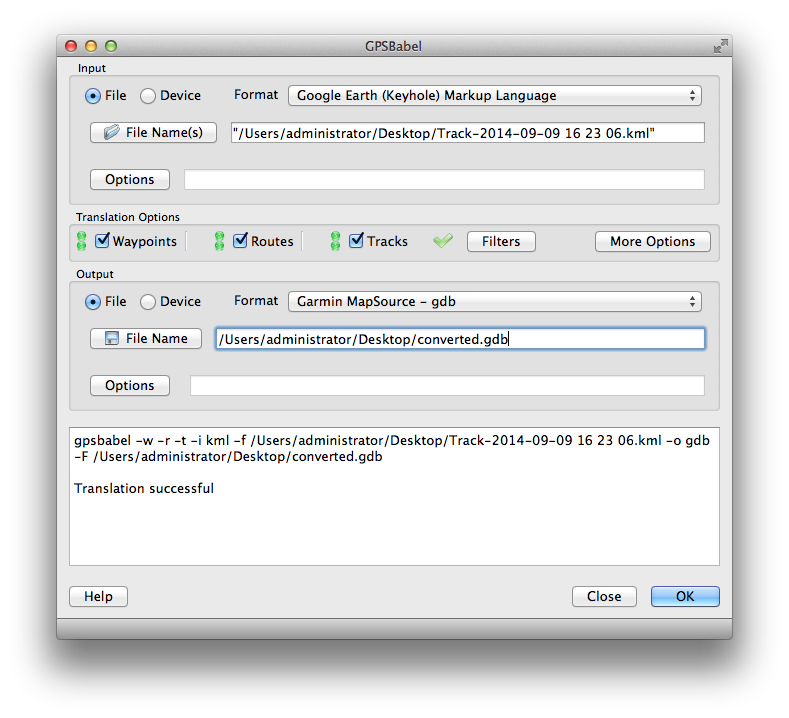 I opened my .gdb file in and right clicked a point to show it on the map. You can then zoom out to show all the points. You can then use the selection tool to select the points you want to keep. Cut or copy the points, then select everything using ctrl-A and delete them. Past the cut/coppied points back in. 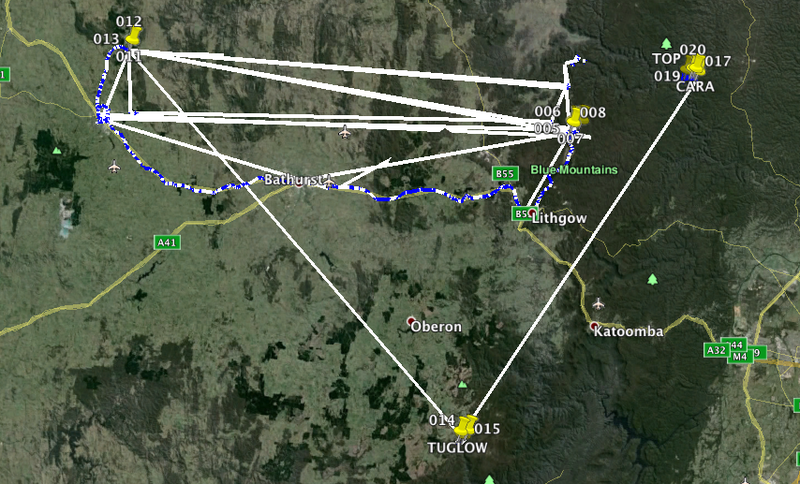 Do a similar process for both waypoints and tracks. 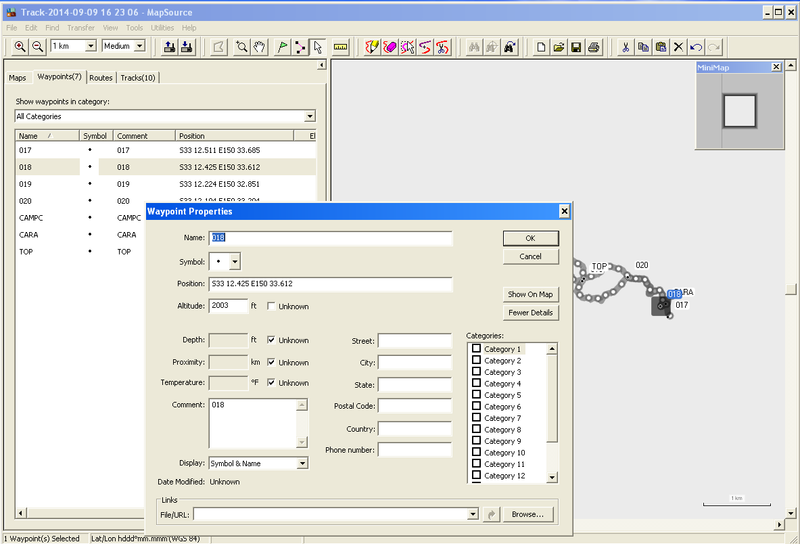 Another option is to open two instances of Mapsource and drag the selected points from one to the other. 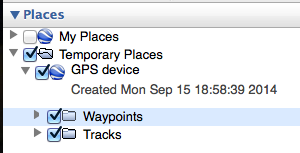 You can then clean up the map by renaming waypoints, deleting unnecessary points, etc. Once you have finished you can save the trip as a new file. 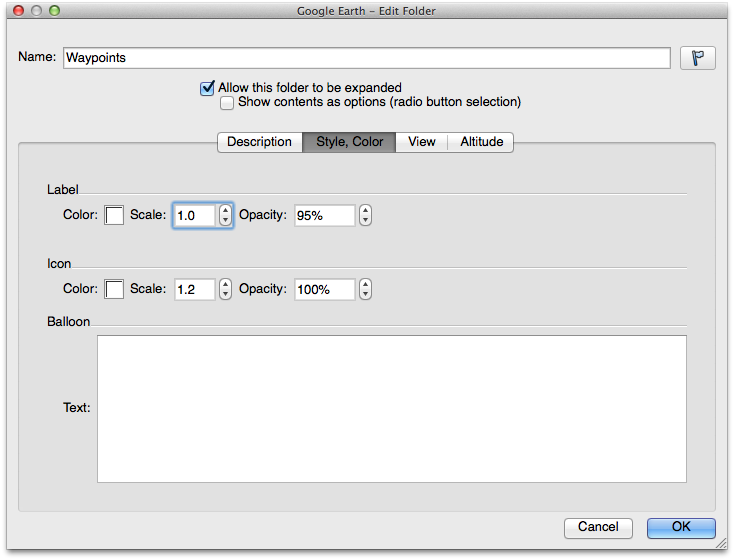 You can now open the trip in Google Earth… when you open the file check ensure the middle check bock is enabled. First, right click the imported trip and select “Get info”. 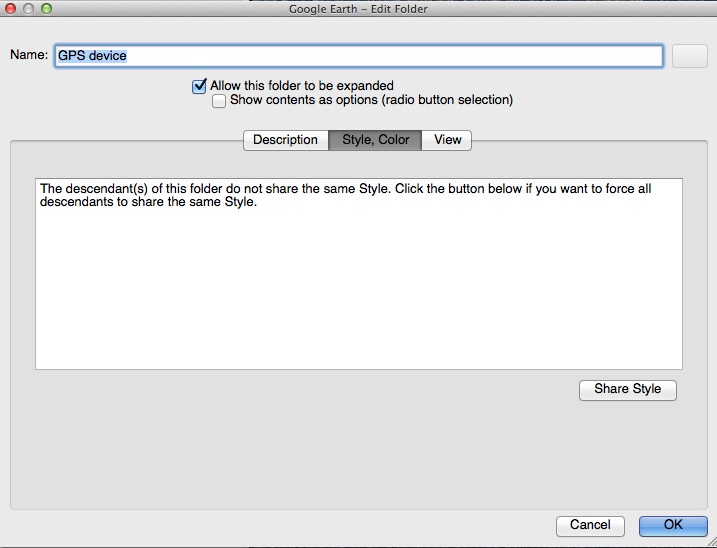 Then go to the “style, color” tab and select “Share Style”. Press OK, and expand your imported trip. 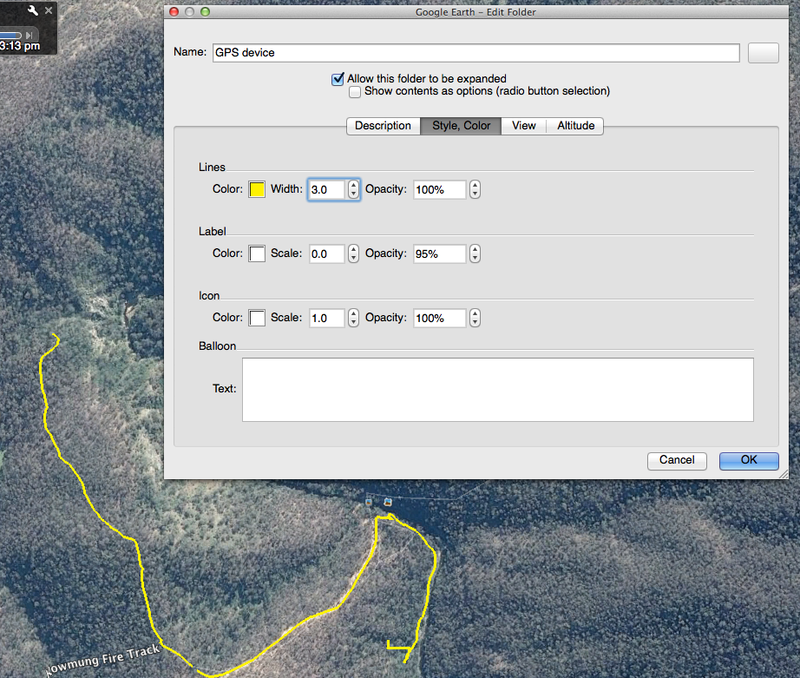 Choose an icon for your waypoints and set the label scale back to 1.0.